Learn to play Latin rhythms as part of our fun samba band! We have a sousaphone and we need trumpets, saxophones, clarinets, trombones and the rest. Come and learn simple catchy Brazilian carnival songs, seaside melodies, hip hop tunes and fun arrangements with Matt Robinson. Baybeat is More Music’s longest running project playing since 1993. 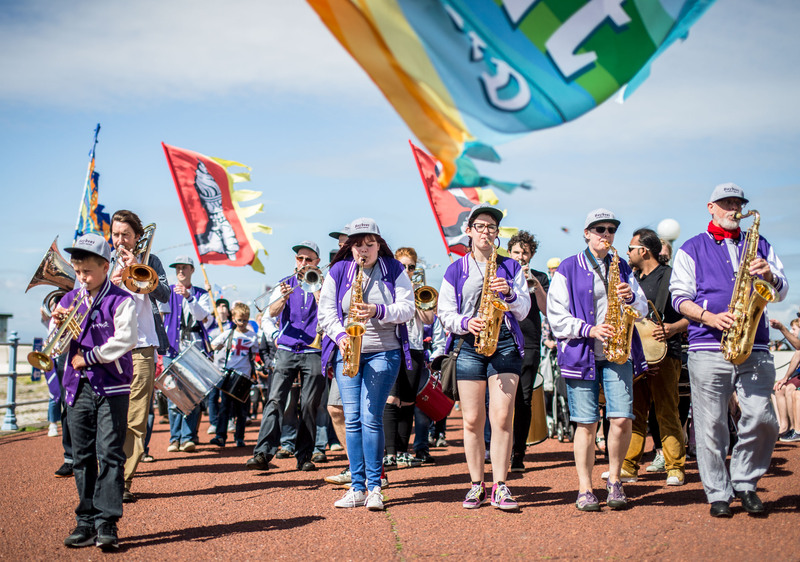 Baybeat has performed around the region entertaining crowds at a vast number of parades and festivals creating a carnival atmosphere wherever we go.